Oh my stars is right because this festive STAR SWEATER is oh so cozy! 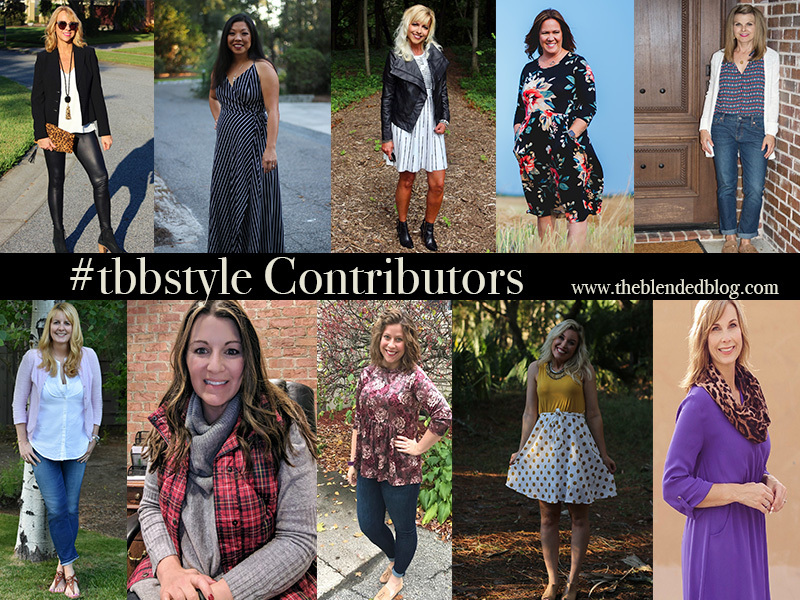 Sweaters and cozy ones at that are the theme for the The Blended Blog fashion frenzy link-up today! This star embroidered one from has my heart. The ragged hem and slouchy shoulders are so fun! Of course, the snowfall and toasty ensemble called for a beanie. I admit, I am a little Pom Pom Obsessed lately! Love this cable knit one from Treasure and Bond. I thought I’d dress it up a bit with my favorite black jeans and studded booties. There is nothing like a cozy sweater to curl up in. Around the house, I often wear comfy pants and my favorite cardigan. For going out, sweaters are just so nice to throw on. Of course, I had to put a little Star Necklace with it and it is so sweet and would make a great gift! I cannot stop talking about the distressed hem all the way around, isn’t it so cute with the asymmetrical dips? I bet these lovely ladies are styling some super cute sweaters. 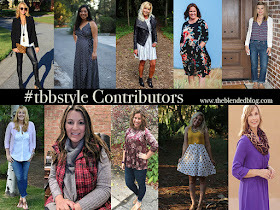 Head to Sarah's Blog or TBB to LINK-UP and hop around to check all of these lovelies out! Andrea, you look absolutely gorgeous and cozy! What a totally cute sweater – perfect for the holidays! And is that snow?? Well you have us all seeing stars in this stunner! Such a fabulous sweater and you where it so well. That beanie and star necklace are fantastic just like YOU! LOVE the little star pattern on your sweater--so subtle and adorable! Hope you have a wonderful Thanksgiving friend!! 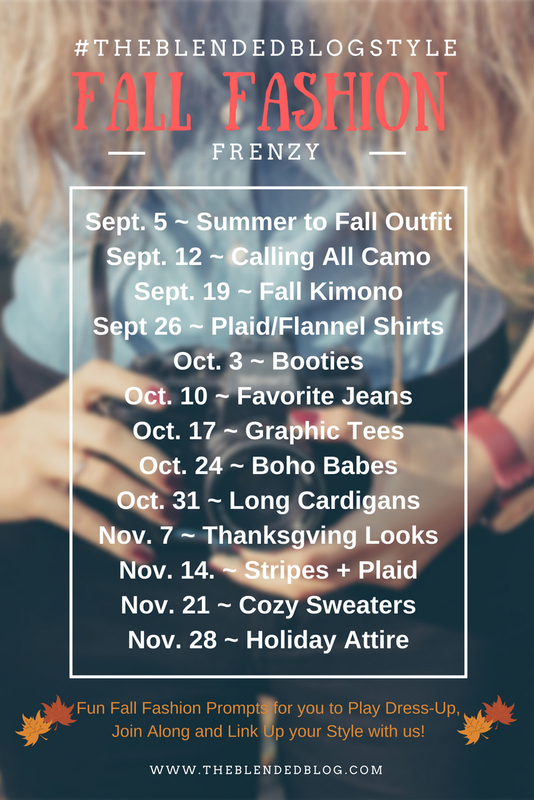 It seems like the last few fall/winters, all I've wanted to wear are cozy sweaters. This one is so fun and unique...just like you, my friend! Have a happy Thanksgiving! Super cute! Have a great Thanksgiving! Oh my goodness! 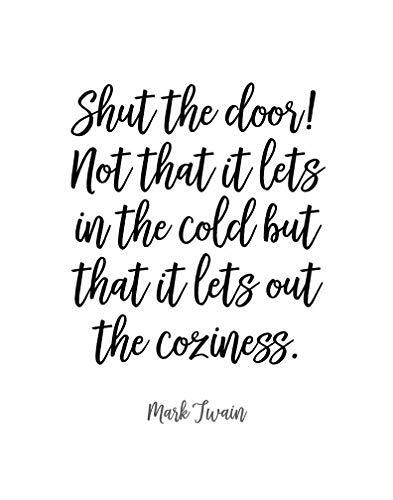 You look so incredibly cozy + you always find the perfect pieces. So inspiring, friend! Definitely oh my stars!! Love that hem. I love all of your pom pom hats too! How's the Thanksgiving prep going? I honestly dont think you can get any cuter... & then you take more pictures & you somehow do!!! :) Happy Thanksgiving friend! 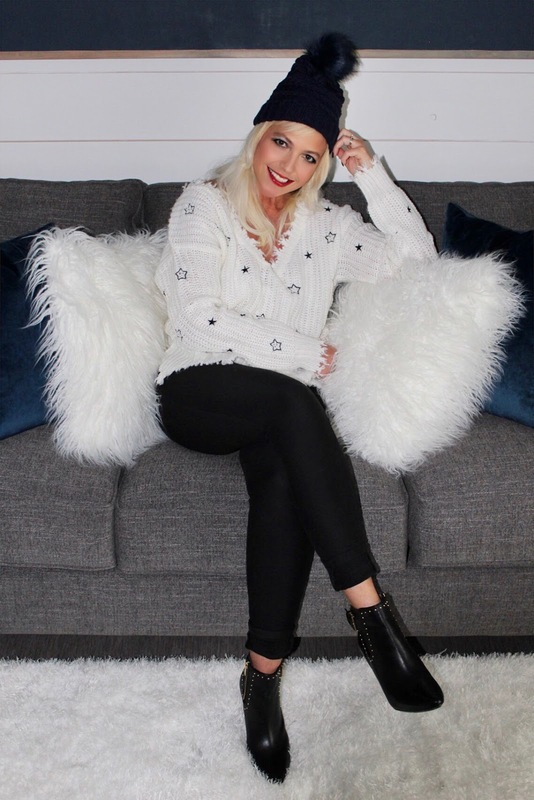 How adorable are you in this distressed star sweater?!?! I want that sweater, now!! Looking gorgeous walking into this Holiday weekend. Oh my goodness, this sweater is just too cute on you, Andrea! Also, your accessory game is on point with that petite star necklace! Love! That sweater is everything you are, Andrea. Fabulous, interesting and oh so wonderful. Looking gorgeous in these photos, and this sweater is so cute and unique! LOVE those booties you paired with it. I need to get a similar pair. You are the cutest!! Loving this sweater -- and how you styled it! oh goodness, that sweater is so dang cute! 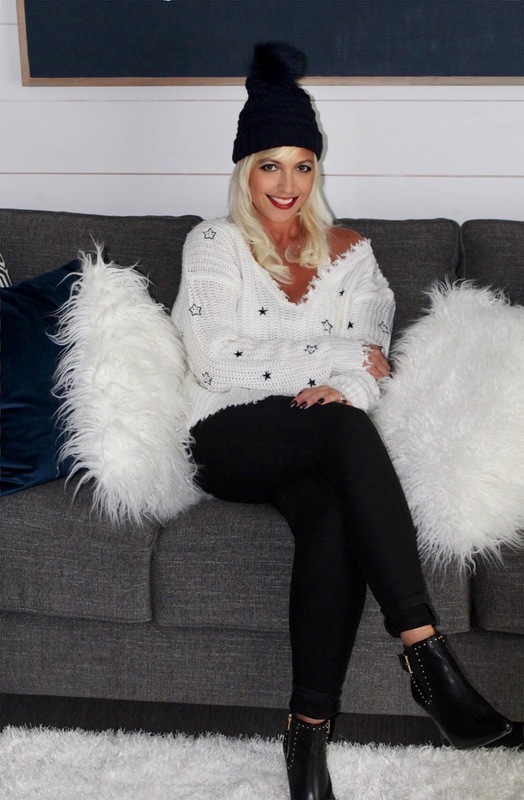 Add that pom pom beanie and you got yourself the most perfect outfit! :) Happy Thanksgiving friend! What a fun sweater! I adore that little star necklace too--it is so pretty and delicate!! You look so cute and cozy! The ragged hem is such a fun addition to the look of the sweater--you don't see it often (ever), either! Happy Thanksgiving, Andrea! Well aren't you just the cutest little fluff of cozy?! I love it the distressed hem. Happy Thanksgiving Eve!! This is so cute and you match your decor and that star necklace is just perfect with it. I love the fuzzy/fringe v-neck! This sweater is so unique and pretty! Have a wonderful Thanksgiving! The sweater is so cute and I just love the star details! Super cute sweater! Happy Thanksgiving to you and your family, Andrea! Your star sweater is so cute and you look adorable in your beanie! Hope you have a wonderful Thanksgiving! That sweater is so cute! I love the star print! I hope you ahve a wonderful Thanksgiving! Can't get over how gorgeous yet relaxed you look in your pretty sweater. I hope Mr Nine was waiting for you off-camera with a furry rug and a hot mulled wine! Hugs, beautiful lady, x. Really cute sweater and hat (in Canada we call it a ‘toque’) ! Such a cute sweater! And I love that hat! I love the stars! And it looks so cozy! That sweater is too cute! I love the stars and raw edges! Those booties add some fun edge too! That blouse looks great on you and I love the overall design. It wouldn't fit well with my body frame but it's still cute.